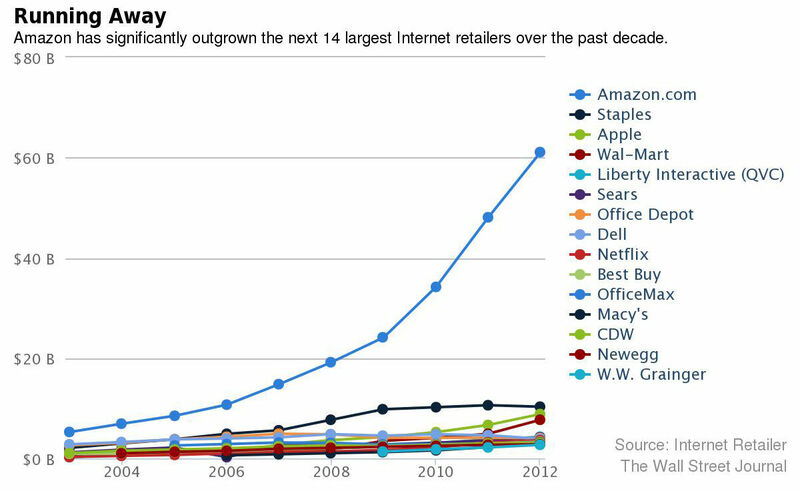 Three decades ago, online shopping didn’t exist. On a cold day like today, you’d have to layer up and head to the store. Today, an assortment of products can be purchased at the click of a button. How many of you have Amazon accounts? 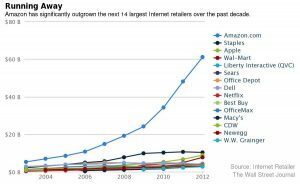 Amazon made 326 transactions per second in 2012, which equates to 26.5 million a day. Amazon is currently considering a partnership with sportswear companies. While sportswear companies believe Amazon will dip into their profit margin, Amazon views it as a way to expand online sales. If a partnership is not reached, Nike and Under Armour companies will have to direct their client bases to their websites in order to remain profitable. For instance, Nike should focus on innovative online sales strategies to make it easier for consumers to access products. -Layoffs (Macys closed 36 stores and fired 2,100 employees in 2015). CEO noted online sales strategy to cut operating costs, as Amazon is expected to sell more clothes than Macy’s in 2017. Nike and Under-Armour have seen a decline in sales over the past few years. The sales of their products on Amazon would shrink profits by apparel companies.